Tim Krul returns to the Newcastle United team against Schalke 04, and it’s a strong side that Alan Pardew has put out this afternoon. And new boy Facundo Ferreyra is on the bench, and could even see his debut for Newcastle this afternoon – the 23 year-old Argentine was announced a few hours ago by Newcastle as being on a season-long loan at the Magpies. As expected, Mike Williamson is back partnering Colo in central defense, and we look for a (much) better performance from the Newcastle defense, than they gave in the first half yesterday. And it shows that 18 year-old winger Rolando Aarons has done very well in pre-season, as he gets another start in what will be another tough game for the Magpies. Both full-backs are changed from yesterday, with Vurnon Anita in at right back and local lad Paul Dummett is at left-back. But no sign of Siem de Jong – who we assume is still injured. It would be good if the lads can get another win against a strong Schalke 04 side. In the game going on at the moment, Malaga are 2-0 up at half time against West Ham and they also managed to miss two penalties in the first half. When did he land @Germany? No Taylor? Travesty. He is the best cb we have!!! Chucky flew out there already. Where is Tiote/Janmaat. Obertan starts like Pardew trying to show him off so I team comes in for him I bet. I hope Pardew is watching this match. That we man Luis Alberto playing CF for Malaga is something special only 21 to. Would send a scout to keep a close eye on him. Think malaga are in big debt think thats why they had to sell monreal to Arsenal an all. The line-up isn’t the best. But at least everyone is in their natural position, except for Anita you could argue. Although he’s hopeless at CM, so that’s good. Glad i dont have to watch taylor flapping around not having a clue where to stand, mike is slow and horrible on the ball but hes at least semi solid. Dont lile anita right back but suppose we dont have many more options. I asked that question last night scout, and somebody told me why, but I can’t remember. Is that the Luis Alberto that Liverpool had? What pardew has done to obertan is that he put him in a room with Paul McKenna, and got Paul to say to obertan look in to my eyes i want you to be our next Ben arfa. Well it’s working he’s got a goal and a assist. I wonder why Tiote isn’t playing. I assume he joined the squad in Germany. The central midfield looks very weak. Also, wonder why no Janmaat. Good to see Aarons. He fully deserves his chance as does the much maligned Obertan after a couple of good performances and a cracking goal. I think Gouffran will be the key player. He has looked very sharp in all the preseason games. Hope Pardew puts on Chucky so we can see what awaits us this season or not. If the club was run properly a quality manager would be employed and every tranfer window you should just need a couple of quality signings brought in, instead of penny pinching to the point of relegation then having to buy half a new team to survive. years. So lets hope our new signings do us proud. Obertan is just there to be sold…. 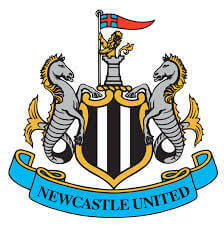 @Toon kk Half our new signings will probably be sold next summer. Alberto is on loan at malaga from liverpool. Good to see a changed up team as a lot of the players still looked like they were suffering from jet lag. Great signing Facundo Ferreyra, i think he will do well for us. Actually looks like a 442. Rivvy and goofy as a strike partnership will be interesting. Mickalonius – you mentioned earlier that you were taking the wife out. I do not intend to be cheeky but is it a ladies wrestling event you are taking her to. If so well done -changing your game is sorely needed. Markaccus i personally think Gouffy will play off riviere, as a second striker. Jail for ashley, i don;t know why we didn’t go for that Javi Manquillo that Liverpool are getting, young and has good technical ability and fantastic potential. Would connor wickham count as the experienced striker we need? Difficult question imo. Tiote had a slight knock. Janmaat not fully integrated yet ! Kind of a 4411 maybe? 4411 seems to be our primary formation at the moment, it worked well in New Zealand. This is the set up according to the official site. United are expected to line up in a 4-4-2 formation, with Krul behind a back four of Vurnon Anita, Mike Williamson, Coloccini and Paul Dummett. Gabriel Obertan – who netted against Malaga – and teenager Rolando Aarons will take up roles on either flank, with Sissoko and Colback patrolling the middle of the park. And it is an all-French strike force, as summer signing Emmanuel Riviere teams up with Yoan Gouffran to provide Newcastle’s firepower in the final third. Where are you watching his lads? Is it on the tele or some shady link? Does that look like Sissoko in the middle of the park? It’s on the free view Quest Channel mate. Aarons can stake his claim for starting against City today, the lad looks canny good. Yep. Socks in the middle. Looks a solid, balanced side. I actually fancy a win.